Royal favour has its benefits… including in the world of whisky. 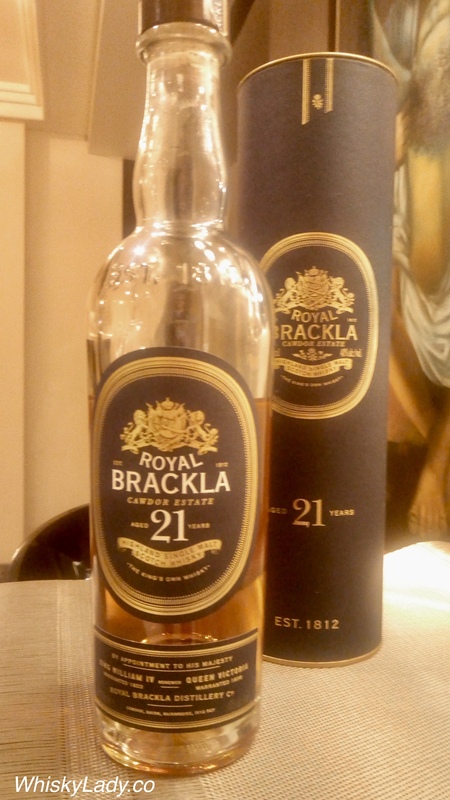 The distillery was founded in 1812 by Captain William Fraser of Brackla House on the estate of Cawdor Castle and by 1833 was selected by King William the IV to be the royal court whisky. The distillery changed hands, had its ups and downs – including closing for some time in 1943-45 and 1964-66 then 1985-91. And yet the “Royal” title remained, even as it changed hands eventually ending up as part of the Dewar & Sons portfolio. Finish – Cinnamon spice – delicious! It was a rather nice way to finish up our Scottish traditional trio. Again it had the sense of being a combination of ex-bourbon with some ex-sherry too. A recognition this is a distillery we rarely encountered. Yet were pleased to do so that evening.